Located on the northern bank of the holy river Ganga, Begusarai is a city in the state of Bihar. Its name is derived from "begum sarai" which means queen's inn, owing to the fact that the queen of Bhagalpur once spent a reasonable amount of time here during her visit to the Ganga Ghat, thus, giving it a name Begusarai or the queen's retreat. Simaria, located about 18 km on the south-eastern boundary of Begusarai is famous as it is the birthplace of a renowned poet Ramdhari Singh "Dinkar". However, Begusarai is not a typical tourist destination and therefore, only those interested in exploring offbeat destinations, or those interested in history may plan a visit to this place. Situated in the heart of Gangetic plains, Begusarai has a low-lying terrain. Farming and agriculture is the major occupation here and it is a major producer of litchi, guava, mango, banana, jute, tobacco, etc., that are exported throughout the country. Begusarai sits in the middle of the mid-Ganga plain and the famous Simaria Pul or Simaria Bridge connects it both via rail and roadways to the rest of Bihar. The nearest airport to reach Begusarai is the Patna airport, located at a distance of approximately 130 km. The Begusarai railway station is well connected with other major cities of the country. Here are some of the places that can be visited in and around Begusarai. Take a look. The Kanwar Tal, also known as Kabar Tal Lake is located about 30 km from Begusarai. The lake is famous for one too many things. It is the largest freshwater oxbow lake in entire Asia. The lake is also famous for its bird sanctuary that is approximately thrice the size of the famous Bharatpur Bird Sanctuary of Rajasthan. 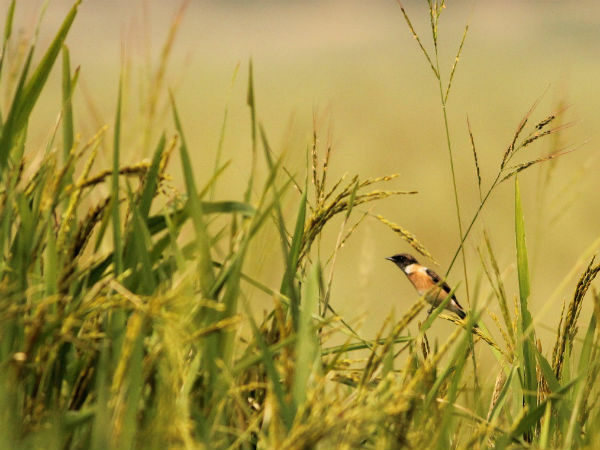 The Kanwar Lake Bird Sanctuary is home to as many as 106 species of resident birds and at least 60 species of migratory birds, and therefore, is an ideal place for birdwatchers. Naulagarh or Naula village near Begusarai is a tiny village with a rich heritage and historical significance. The history and archaeology enthusiasts will especially find it interesting to visit this tiny but historically rich village of Bihar. A number of archaeological sites are strewn across Naulagarh dating back to ancient times with findings and pieces of evidence from 6th century BC to the Mughal period.